Why Purchase an Online Price Guide? First pricing on all new figurines. Timely pricing to help make you a smarter seller or trader. Gives you the knowledge to make smart purchases. Integrated with the Trade and Organize systems. figurines checklists and pricing updated daily. Fully integrated with the Beckett trade system. Access to Beckett first ever online graded figurines price guide. Value your figurines collections easily in Organize. This one of a kind database features checklists and pricing from the early 1950's to the present and covers all your favorite players from A to Z. Includes detailed set information and pricing on all your favorite products from major sets including Hartland, Starting Lineup and McFarlane. Coverage in the Beckett Figurines database includes figurines, statues and bobble-heads from all major sports. Beckett Figurines database is accurately cataloged to include brand, manufacturer and print run as well as a multitude of sports attributes including designations for serial numbered, memorabilia and autograph. 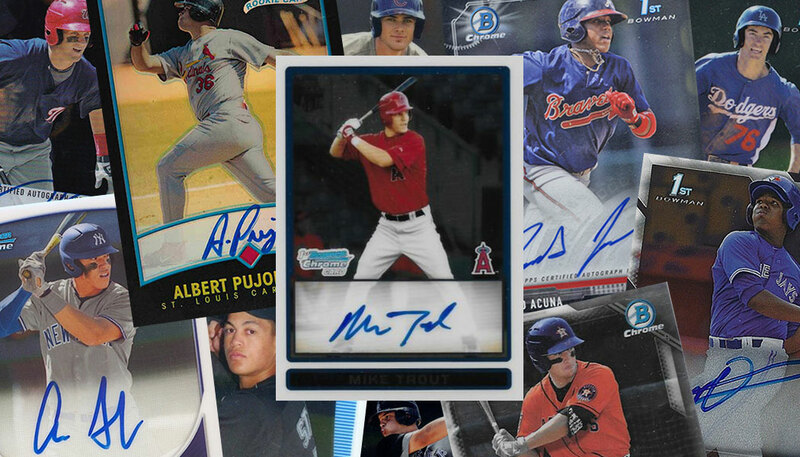 Countdown of the 50 most valuable Bowman Chrome autographs from 2001 to 2018. A look at some interesting Wayne Gretzky hockey cards from his time with the New York Rangers.